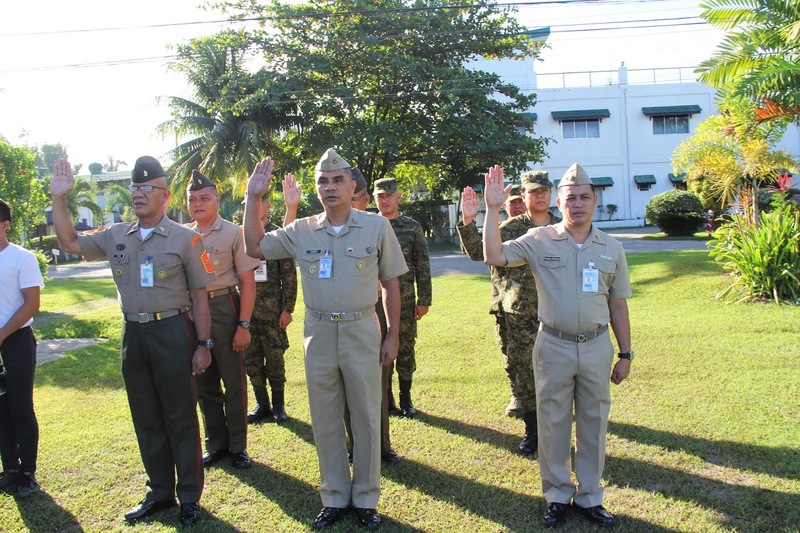 NSFA, Panacan, Davao City – The men and women of Eastern Mindanao Command renewed their commitment to uphold human rights and the rule of law as the Command joins in the commemoration of Human Rights Consciousness Week during its Flag Raising Ceremony, morning of December 4, 2017, at Camp Panacan, Davao City. The oath-taking or “Panata sa Karapatang Pantao” was also attended by Lt. Gen. Benjamin R. Madrigal, Jr., Commander of Eastern Mindanao Command. In his message, he reminded the troops of their responsibility to provide a peaceful and safe environment, more than protecting the life and the rights of the Filipino people. “Let us all be reminded of the laws that govern us in the performance of our respective tasks, for mission accomplishment is worthless when done in the bad light,” he emphasized. 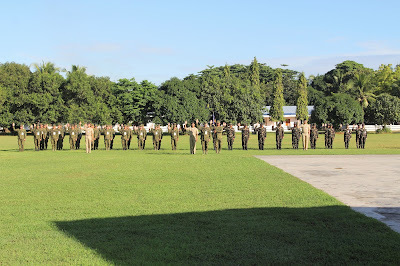 In the message of AFP Chief of Staff General Rey Leonardo B. Guerrero that was delivered by Lt. Gen. Madrigal, he encouraged the troops to always bear the importance and lessons of commemorating the annual National Human Rights Week and Universal Declaration of Human Rights to fulfill their sworn duty to the People. “Sa ating muling pagsambit ng ‘Panata sa Karapatang Pantao,’ nawa'y maging patunay ito sa ating mga mamamayan na ang Sandatahang Lakas ng Pilipinas ay kanilang kaagapay sa pagpapataguyod ng Karapatang Pantao," he added.